It has been more quiet around “Oslo” the last month. Maybe just about everybody is on vacations. Or people feel that everything will change with the PDC in November and are afraid of publishing nonsense. Nonetheless, I felt it’s time for an update on what I think, heard and read about “Oslo”. For those who don’t know, “Oslo” is the current codename for Microsoft’s forthcoming modeling platform, which is available as CTP Download since back in October 2008. The community did also care a lot, and there are even companies investing in tools around “Oslo”. Telrik published two projects on their Labs Site. A tool for comparing and migrating M as well as LINQ to M. There are even trainings offered by Agilitrain and PluralSight. + follow up: Pinky’s: Oslo – is that all it is? First of all I want to say, that I’m happy Microsoft released Oslo in such an early state. I think they know the pros and cons of such an open process. The community can help with forming the product, and companies can start to invest early in what they think might be valuable for the future. But It also means more friction for any changes that are made. I have used M for defining schemas and languages and also played around with the Repository and Quadrant. As Microsoft also states, it’s early Alpha. I stumbled over many bugs which I still plan to report and blog about. But that is OK, no one ever said it was production ready. So far I like the schema part of M, also called MSchema. It has a very concise (compared to XSD) c-style syntax and covers a lot of what I want to express when modeling information structures. The M-graph (for values) syntax is also OK, while I don’t like the MGraph API. M-constraints let you restrict your types in a nice way. What I don’t like here, is the missing support for weak constraints. Named M-queries (similar to LINQ syntax), are a nice way to query M structures. M-grammar is useful for DSLs. I think it could be more opinionated. 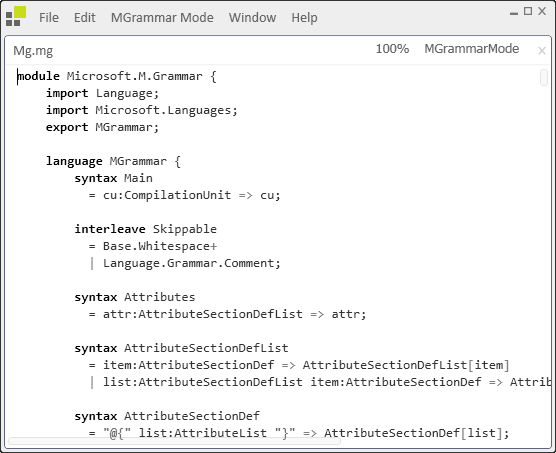 I feel MS is striving for an expressiveness that let you describe all computer languages in the world using MGrammar. This makes it more complex than necessary for covering DSLs. At the same time it doesn’t support nesting of languages, which would be especially useful for DSLs, because you often need to talk to external models (e.g. pinvoke). The support for editor customizing (crucial language workbench feature) as it is today is not sufficient and too hard to configure. Another feature I miss here is referencing between nodes and even across files (linking + scoping). For now all references are just values (ids), and the output of a DSL program will be a tree model, no graphs! The Repository basically offers some features on-top of SQL server as are row-level security, hierarchies, localization, versioning, additional constraints. All those features are plain SQL “libraries” in conjunction with M-models which also are compiled down to SQL. I don’t yet know what to think about the Repository. In the last couple of weeks the Oslo team published two posts that confirmed some of my speculations. The only thing that I feel bad about is that we kept the “Oslo” name around so long (you will see that change at the next PDC), which has continued to be a confusing point for customers (“I thought Oslo was your new SOA platform”). I agree. It was confusing. Although people slowly start to accept “Oslo” as for “Modeling”. With this in mind, we made a decision to merge the Data Programmability team (EDM, EF, Astoria, XML, ADO.NET, and tools/designers) and the “Oslo” team (“Quadrant”, Repository, “M”) together. I don’t yet know what to think about this. “Oslo” is not and should not evolve to an O/R-Mapper. M’s type system is structural and doesn’t map well to strongly typed objects as used by EF. I can see this choice limiting the modeling capabilities of Oslo. But I guess we have to wait and see. The other post, confirming my fears about Quadrant was Model Citizen : What’s So Compelling about "Quadrant" Anyway?. Yes. Quadrant lets you interact with models graphically. It’s highly generic, customizable and it looks great. I concluded this from the official statement about Oslo plus some videos and screenshots I had seen. Doulas Purdy, September 2008, What is Oslo? Microsoft code name "Quadrant" is a ‘tool for viewing and editing SQL data,’ but… so what? Michael Murray, July 2009, What’s So Compelling about "Quadrant" Anyway? As I understand today, and as it shows up in the May CTP, it is not a graphical editor or graphical editing toolkit but rather a light WPF-version of Microsoft Office Access that understands Oslo Modeling concepts and relationships and builds up default editors in a generic manner. This is still useful (if it is free), but not far as useful as what I hoped Quadrant to be. Please, Microsoft, make Quadrant a graphical editing toolkit with good support for configurable diagramming and any custom WPF editors. It should also have the plug-in model VS2010 offers for sharing any extensions. Microsoft tries to sell “Oslo” as if it was all one story. It’s a lie. There is tons of impedance mismatches that restrict you in many ways. MGrammar ASTs are hierarchal (tree structure) and for now only supporting nodes and strings. 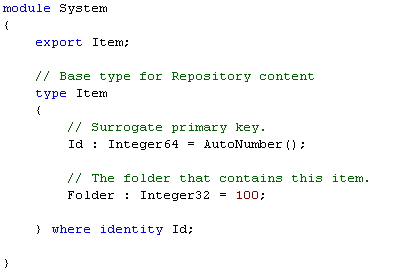 and objects in the .NET world are typed nominally (no multiple inheritance). There is no story for “DSLs and the repository”, and there is not yet a good story for any runtime support off the repository or DSL files. It’s basically what you had before. 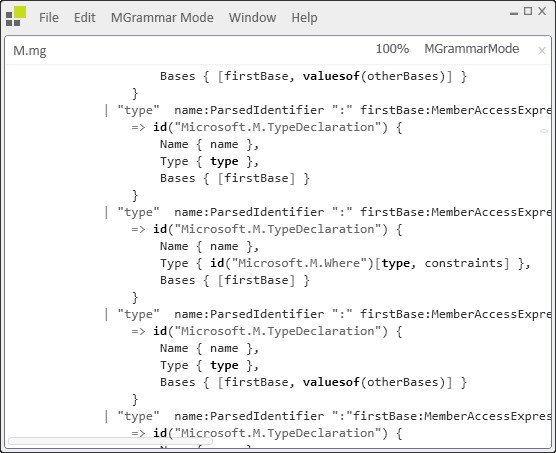 You can either access the database via ADO.NET or an O/R-Mapper or you run directly off the parsed MGraph-AST representing your DSL-Script, which feels like visiting xml documents. M has a nice LINQ-ish query language, but that doesn’t work in memory against a graph. M has good support for complex data structures. As said there is no support for in-memory queries. But even the database implementation is limited by it’s relational backend. Even though queries can consult complex properties for sorting or filtering, it can only return rows with a list of scalar fields. Most constraints on types are only implemented in the SQL-Mapping. Also here there is no in-memory implementation that would validate your model against a schema. Basically the M-compiler generates a database schema including checks that would not let you insert invalid data into the database. There is this dream about capturing requirements in quite fuzzy ways and then piece for piece add details to them – until they have reached some formal state that might be executable. This sounds nice in theory, but there is no chance to implement this stuff. M is very easy to change, and it is easy to add constraints and refactor schema structures. But there is no story around how to let your data evolve together with your schemas using the Repository. So, besides nice theories, Oslo doesn’t help here. There will be new content and Chris Sells also announced a fresh CTP around this years PDC in November. Hope to see you in LA in November! Just my random reaction to 2009 Lang.NET Symposium – Language and Data. As all of us know these days, Oslo is about a language, a repository and Quadrant. We all know the hard parts are the language and quadrant. I have the gut feeling that the repository just is about the data backing for the glue between M and Quadrant. This is the tool that has the potential to bring in money and I do understand it needs a repository. But since PDC we have not heard anything about Quadrant, so for now all is about the language “M”. We also agree on that we won’t model customers and orders in Quadrant. So why the heck do we still have to stand all that SQL mapping demos? Just show us the modeling part… And show us Quadrant as soon as you’ve got something to show. Dennis posted some notes while attending some of the PDC “Oslo” sessions. The PDC is over, and most contents including the Oslo SDK (without Quadrant) and all PDC Session Videos on channel9. Thanks! But where are we now? If you want a “brief” overview, you should at least have a look at A Lap around “Oslo”. Microsoft “Oslo” Frequently Asked Questions. I’ll start with correcting some of my former assumptions in DSL Tools, T4, the Software Factories and “Facts” Rumors about Oslo. No, Oslo (M and Quadrant) is not built upon DSL Tools, T4 and the UML Tooling in Visual Studio 2010. It’s totally apart. The DSL Tools are the here and now, while Oslo still is “Pre-Pre-Pre-Alpha” (Douglas Purdy). Douglas promised that his team is working tight with the VSTX team in order to bring this together. He mentioned the possibility of using M as the backing metamodel format for the DSL Toolkit. Graphically edited DSLs could then be converted, described in MSchema and stored into the Oslo Repository or MGraph files. Update (12.Nov): Later in his talk “a lap around Oslo” Doug also said his the team is discussing to schematize the DSL Toolkit, and let the graphical DSLs live within Oslo. No. I don’t think so. 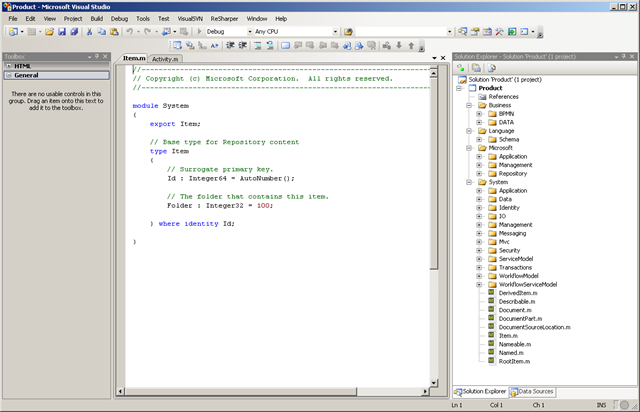 Microsoft joined the OMG and they support some UML Diagrams in Visual Studio 2010. But so far this has not to do much with Oslo. Update (12.Nov): Someone asked about how Oslo relates to XMI and UML. 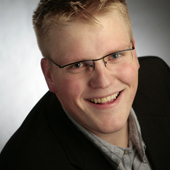 Doug’ promised that they will model the UML-Domain and let the UML Designers in Visual Studio live within Oslo. Talking of Model-driven Architecture (MDA) it seems that Microsoft avoids this abbreviation. They rather talk about Model-driven Development and Model-driven Applications – I’ll write more on this in a separate post. Dublin is announced to be Model-driven, but it is not a part of “Oslo”, but rather related to Windows Azure and IIS. The plan is to host cloud-enabled services both locally on Dublin and in the cloud on Windows Azure with maximal control and minimal effort for deployment and configuration. Read Workflows, Services, and Models by David Chappell to see how Dublin relates to Oslo. A new Version of WF and WCF? WCF and WF were model-driven right from the beginning, but in the next versions the source for the models that drive Workflows and Services might come from Oslo. MService is a textual DSL that combines service configuration, implementation and workflow definition into one resource. Yes, it’s definitely about a new modeling language family “M”, consisting of three core languages. These languages do all have similar Syntax and a shared type system. Defines schemas for data instances. Quite comparable to XSD and DTD. JSON-like format for capturing concrete data instances. Defines grammars for textual DSLs. Could also be looked at as a Unicode-to-MGraph-tranformation language. There are other languages planned for some horizontal domains as Database, Services and Web. But here you can even put some more “Pre”s before the “Alpha”. A Language Workbench for textual DSLs! Well, I’ll just copy Martin on that. At some point I really need to rethink what I consider the defining elements of a Language Workbench to be. For the moment let’s just say that Xtext and Oslo feel like Language Workbenches and until I revisit the definition I’ll treat them as such. Oslo Repository is a tool and a framework that allows storing models into SQL Server. I’m still quite torn on this idea. Design-time story: Many tool vendors tried backing repositories supporting simultaneous changes. But sharing them in files is just easier. If it was on the web – ok, then we had to talk about security and stuff – But as it is tied to SQL Server 2008, it looses a lot of my attention. Runtime story: Having models in a database at runtime at least seams more natural in my opinion. What then to store there is another thing to figure out. Is it meant to store operational data or configurations and application definitions? That’s what is left to the customer to decide. Plain T-SQL: Mapps your explicit MSchema definitions or implicitely “guessed” schemas from MGraph data to data tables. Catalog: Keeps the semantics you have in your MSchema as not everything maps directly to T-SQL. Versioning: Sadly not instance data versioning. But you got full SQL Server 2008 capabilities including SSIS, Change Tracking, Replication, … + Due to the separation of views and tables you can support backward-compatible schema evolution. Oslo does not come with a own data-access technology stack. It rather gives you a generator for EF-Models. But as I’ve understand, Quadrant only works on models stored in the Repository, hence SQL Server. Really interested to see how this works together with your textual definitions you might rather store in Version Control. Q: What is the timeline for shipping “Oslo”? A: We are not disclosing the release schedule at this time. We are committed to releasing regular Community Technology Previews (CTPs) after PDC and will engage with the developer community on an on-going basis. The Oslo Development Center (http://msdn.microsoft.com/oslo) will also be the place to learn about the latest Oslo-related downloads. Q: Is “Oslo” shipping with the rest of the Visual Studio 2010 product line? A: We are not currently disclosing schedules or packaging. Microsoft also did a good job writing a lot of examples, documentation and tutorials about Oslo, M and MGrammar and the Oslo Repository. MGrammar looks quite interesting. As I can see, M is defined using MGrammar while MGrammar itself is self-describing. M just seems to be a general-purpose modeling DSL. This is where “building textual DSLs” comes in. When you want to define a model you can either define it with M, or create an own more specific DSL using MGrammar. 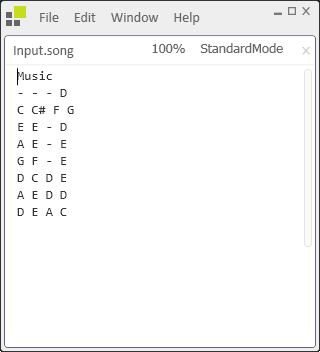 MGrammar will then generate a parser and hopefully a good intellisense-enabled editor. That’s what “M” looks like. Unfortunately I could not find any examples or screenshots about Quadrant, which should show the same data just graphically. More than 300 built-in models. 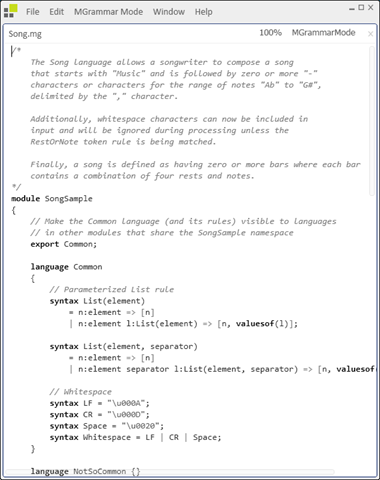 The Intellipad helps writing Models with M or defining textual DSLs with MGrammar. I just “scanned” the PDC Session Timeline and the Sessions I would have liked to attend if I were in LA. As soon as I find resources like videos or blog entries regarding these sessions, I’ll add the links below each session. 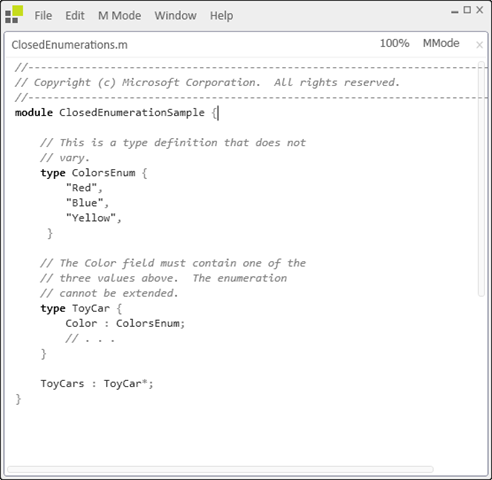 Enhancements to the type system in the next version of .NET Framework allow for loose type-coupling of components comprising your application. This talk is an in-depth examination of the changes in the Common Language Runtime and managed languages. See how these changes help to simplify versioning and deployment of components targeting either COM based and/or fully managed applications. For Office developers, learn how to eliminate the need to redistribute primary interop assemblies. Take a walk through the 4.0 landscape from ASP.NET and learn how you can get involved in shaping ASP.NET future. This talk focuses on the next release of ASP.NET including web forms and MVC. Do you love web forms? See how you can taking control of your control IDs, display images using the new DynamicImage control, learn about better ViewState managment in GridView and ListView, and get more control over the CSS markup of ASP.NET server controls. See how Dynamic Data makes building you data-driven apps easy. If you’re interested in AJAX, we show you further advancements in client rendering and binding. If you’re considering MVC, we look at the feature set and understand how to create applications with this technology. Join us for an interactive lunch discussion about different kinds of performance and scale requirements that are a crucial part of any distributed systems development life cycle. Learn the principles of Windows Communication Foundation (WCF) throughput and responsiveness optimization. Hear about WCF scalability improvements in the next version of the Microsoft .NET Framework. “Oslo” is the family of new technologies that enable data-driven development and execution of services and applications. Come and learn how to capture all aspects of an application schematized in the “Oslo” repository and use “Oslo” directly to drive the execution of deployed applications. The “Oslo” language, at the heart of the Oslo modeling platform, allows developers to quickly and efficiently express domain models that power declarative systems, such as Windows Workflow Foundation and “Dublin.” In this session, we’ll get you started writing models for your own domains by introducing you to key features of the language, including its type system, instance construction, and query. You’ll learn to author content for the Oslo repository and understand how to programmatically construct and process the content to target your own specific runtime environment. Unit testing means different things to different people. To Agile developers, it enables Test Driven Development. To researchers, it enables test generation from static and dynamic analysis. To others, it’s a means to test protocols, APIs, and other functionality below the presentation layer. Others still see it as a means to do conformance testing. Hear four experts debate the perspectives on the advances of the last decade and the trends of the next. Audience participation is encouraged. “Oslo” provides visual tools for writing data-driven applications and services. Learn how to provide a great experience over domain-specific schemas, and explore the basic user model, data-driven viewer construction, user-defined queries, and custom commands. See how the design experience itself is an “Oslo” application and is driven by content stored in the “Oslo” repository. In this session, you will learn how to use powerful new UI and command line tools for Web application packaging and deployment, and you’ll dive under the hood of Visual Studio 10 to see how it will support one-click deployment to IIS. You’ll learn how to transform your development settings to make them production ready and how a real world shared hosting environment may be securely connected to a developer web application in VS10. You will also hear best practices for setting up your server and development environment to get huge productivity gains. Learn the latest features in Windows Communication Foundation (WCF)for building Web 2.0-style services that use URIs, HTTP GET, and other data formats beyond XML. See how these features can be applied to AJAX web sites, “REST” applications, and data feeds. The “Oslo” modeling language can define schemas and transformations over arbitrary text formats. This session shows you how to build your own Domain Specific Language using the “Oslo” SDK and how to apply your DSL to create an interactive text editing experience. Learn about Microsoft’s new language, F#, a typed functional programming language for the Microsoft .NET Framework. F# combines functional programming with the runtime support, libraries, tools, and object model of .NET. Understand how F# asynchronous workflows help tame the complexity of parallel and asynchronous I/O programming and how to use F# in conjunction with tools such as Parallel Extensions for .NET.